Every analytical process and decision point across enterprises are open targets for artificial intelligence. That is not hype. It is just a matter of time before data scientists, software programmers, business consultants, and business managers at least consider ways in which AI could enhance decision making in every crevice of your organization. Now to pull back the reins. Only ten to twenty percent of potential markets tend to be early adopters of innovative technology. This means at least 80% of all business managers today probably believe AI is all hype, while at least 10% are moving forward implementing some form of artificial intelligence in their business practices. A GARP study conducted the beginning of this year confirms these general adoption trends hold true for the use of AI in corporate risk management practices. Their survey of 220 risk professionals (and supplemental in-depth interviews) found only 15% are now using AI in their risk management function and 70% have no current plans to implement it. Looking forward, 46% do not believe AI will play a significant role in their risk management toolkit for at least another three years. These results are not surprising in a profession where reliance on spreadsheets, word documents, PowerPoint, and qualitative assessments as primary tools is not uncommon. Most risk management processes can still benefit from the expanded use of traditional statistical analysis, predictive analytics, and risk management software packages, but now is the time to look ahead for AI adoption plans. C-suite use of Monte Carlo simulations has grown in recent years. The acceptance and integration of machine learning techniques should not be too daunting for a next step. The broad category of artificial intelligence refers to the ability of computing resources to mimic human intelligence beyond directly programmed commands. This includes capabilities such as deciphering questions, identifying visual, auditory, and data inputs, cross-analyzing a wide range of information, and offering some form of a conclusion. Machine learning is the branch of AI most relevant for supporting risk-informed decision making as it focuses on discovering patterns in data and categorizing or predicting outcomes. Like traditional business intelligence and predictive analytics tools, machine learning uses a variety of statistical methods. The range of methods are generally classified into: (1) regression analysis to determine independent and dependent variable relationships; (2) classification to identify and label dependent variables; and (3) clustering to discover the general characteristics of groups of observations without any predetermined dependent or independent variable. Unlike traditional business intelligence and predictive analytics tools which use specifically chosen variables built on structured quantitative data, machine learning allows the flexibility to use unstructured data (not just quantitative) and the program determines variables and coefficients to use on its own. The first two method categories (regression and classification) require supervised learning with outcomes scored and used as feedback to help train a program to refine its model. Clustering, in contrast, uses an unsupervised learning process that discovers patterns using neural networks with dynamically changing variables and weights as it churns its own modeled system to find key features of the given dataset. Machine learning improves upon traditional business analytics tools given its ability to use a large variety and volume of information without any of the predetermined static relationships used in traditional models. The dynamics of machine learning allow it to constantly improve precision as it ingests more information. Information that may now include unstructured text (e.g. email and social media content), visual, and auditory inputs. can help address ambiguous variables, unstructured data, and unknowns. New processor designs that integrate memory and processing more efficiently, AI accelerators, GPUs, cheaper storage, and the expansion of sensors and general data collection, are all part of the emerging technology drivers making AI technically and economically more feasible today. Investment capital, well into the billions of dollars, and the attention of the world’s top data scientists and data engineers, are now bringing AI to fruition more than six decades after research in the field first began. Much of the early AI development efforts have focused on training machines to recognize and classify input data for purposes like speech recognition, visual identification, and deciphering questions (e.g. IBM Watson). Pattern recognition has also enabled AI programs to make user recommendations based on other individuals with similar interests (e.g. Amazon, Spotify, Netflix, etc.). Many of the brightest AI minds are now working on driverless cars to convert environment and situation recognition into driving commands. Then there are the artistically-minded who are testing AI’s creative capabilities for producing unique art, music, books, and movies. All these examples are frontline management concerns where computer models can learn from historical data, differentiate regular and irregular patterns, and flag potential risks for further investigation. Awareness levels and cultural concerns typically pose the greatest organizational challenges for innovative technology adoption. They are the top challenges for the use of AI solutions in support of business decision making. Other concerns such as complexity and cost are dissipating for basic solutions. Open source algorithms are available for in-house development while many AI-based vendor software solutions offer free entry points for simple data sets to test its value for broader tasks. Opting for in-house development will certainly require more time and expense as you acquire data engineering talent and run through machine training with multiple test cycles. But regardless of opting for a vendor service or an internally developed solution, implementation success will depend on your ability to assemble large data sets to train and refine models. The process of assembling data for machine learning will help expand the consideration of more risk factors in the context of specific business objectives. It will help embed risk identification and risk assessment in frontline decision-making processes. It will enable the use of a greater variety and volume of new data sets to help improve predictive capabilities. It will consider both structured and unstructured information. It will help reduce (but not eliminate) the model bias that is inherent in the choices of variables and coefficients used in static models. It will help extend risk considerations beyond just the core known risks and offer the potential for dynamically discovering new and emerging risks. Predictive capabilities will improve over time as input information grows. It will facilitate real-time risk identification and risk analysis. The cost and time to build and train unique models. The potential downside of using predicted outcomes from machine learning as prescriptive decisions rather than considerations for business decisions. The erosion of personal accountability for decisions associated with the prior point. The biases that may still exist from historical data selection for training and the choice of statistical algorithms used in the models. The challenge of communicating to decision makers that AI models will still provide probabilistic answers and should not be used as certainties. Current organizational standard practices, culture, and role responsibilities for risk management and auditing may have to adjust to accept new risk identification processes as well as documentation capabilities and limitations. The black box aspects of the clustering machine learning techniques, particularly those leveraging deep learning models, may not lend enough insights for the basis of decision making that must be documented to meet regulatory requirements. The adoption of machine learning and other AI technology is not hype. 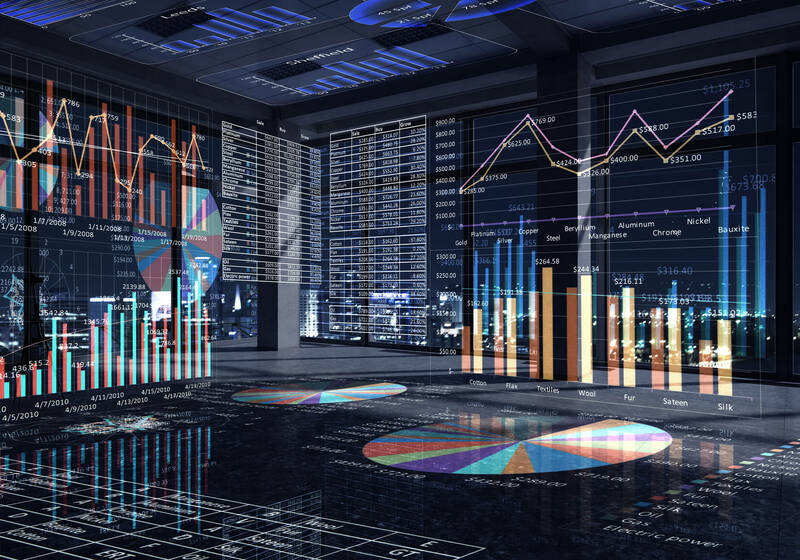 It is happening now and will accelerate based on supportive technology trends, the attention of top data scientists, and plenty of eager venture capitalists. It is time to add AI to your risk management strategies and practices. Not all enterprise investments in AI will pay off, but today’s successful adopters will certainly gain tremendous decision-making efficiency over their competitors. MasterCard proved it was not going to hold back on its AI investments when it recently acquired AI specialist Brighterion to extend its fraud protection and data protection capabilities. In a market with limited AI skills, an acquisition like this is a two-pronged competitive tactic that gains highly-valued resources while also reducing the independent pool of skilled programmers available for competitors. 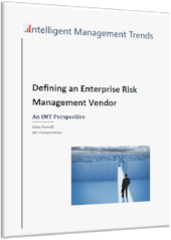 As for enterprise risk managers, a past IMT post addressed a worrisome risk professional awareness gap for disruptive technologies. 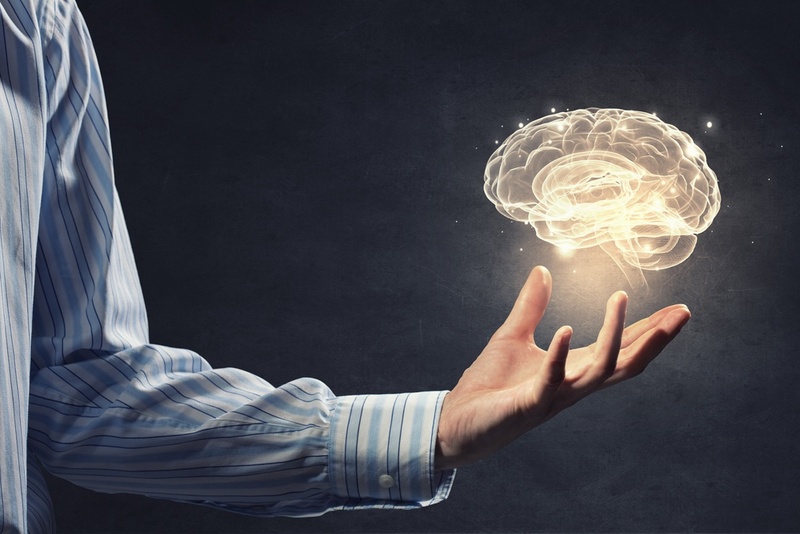 Quantitative skills, business practice knowledge, creativity, and the ability to leverage artificial intelligence are all important attributes for successful risk managers for emerging business trends. The GARP research found risk professionals tend to perceive AI as a product or service they can purchase from a vendor rather than an integration of machine learning techniques and programming with internal business processes and analytics. It also discovered 60% believe risk management has no role in assessing the use of AI in their overall organization. AI adoption is a strategically important issue for just about all enterprises today. Risk managers should make sure they have a role in determining its optimal use. Investigate and promote the potential use of AI-based programs across unique frontline functions in your organizations. Develop plans to use machine learning for integrated enterprise risk analysis to help uncover and communicate where organizational value is at risk and where it can be enhanced strategically and operationally. Help build a culture of using machine learning that supports human decision making rather than dictates prescriptive answers. The GARP survey notes a lack of AI adoption models and case studies may be hindering AI planning and investment efforts among risk professionals. If you would like to share your experience, struggles, and successes in adopting AI for your risk management practice, contact us at IMT. We research and develop insightful case studies that advance risk-informed decision making and would like to highlight the successes and challenges of implementing machine learning and other AI tools.